Our today’s topic is Key-word Research. I think I have said before about what is keyword. Now, we should have to know where we have to use these Keywords. Why the Keyword is important for Search Engine Optimization? Before teaching about Keyword you just have to answer some of my questions. These are: Why you want to do SEO? Why you want to do SEM? In a word, why you want to advertise your website? I think you answer is that you just want visitors. Yes, your answer is right. Actually, we do such hard working only for bringing visitors. And, if you success to bring more visitors then you may increase your income. Search Engine will help you to get more visitors. People just search with their own keyword in a Search Engine. Hope, you have understood something about why the Keyword is important. Here I am discussing something more for you to understand better. Suppose that “Online Income” is the main topics of your website. Now say me, will any people search with “Entertainment” keyword to reach at your website? I hope that’s impossible, they may search with “Earn for Online”, “Make Money Online”, “Online earn Tips” keywords. People only search with a relative keyword that they want for. So, you have to think about those keywords that a man used for knowing about the “Online Income”. The term which is used for finding out the better keywords is called “Keyword Research”. There are some helpful sites that will help you to research keywords as well as the pros and cons of your keywords. These helpful sites will give you the opportunity to find the best keyword. If you can utilize these keywords perfectly, your site will necessarily be powerful. Powerful site means sufficient amount of income. Hope, you had better understand about the importance of Keywords. There is nothing to say more about the importance of Keyword Research. If you failed to perform Keyword Research well, then your site will be useless. You may find your site at the first row of Search Engine, but you will not get visitors. As a result, at first you should give emphasize on Keyword Research. Here is a list of two most popular sites that will help you to research keyword. No more today, I will discuss more about keyword in the next class if the God keeps me alive. Below, I am describing about some places where you have to use your Keywords. Try to memorize them as they will help you in your whole life. The more you are staying with SEO, the more you need Keyword. That’s why you should give importance on Keyword. Name of the Domain: There are many things that depend upon your site name. If the visitors can not memorize your site name, then there is no need to make a website. That’s why you should choose such name that is related with your site topics. At first the Search Engine searches the Domain URL when it is asked for search. As a result you should give emphasize on the name of your domain. The domain name is a big factor for Keyword Research. Title of the Website: You need to stress more for researching a keyword for a site title. If you are unable to find the best keyword for your site title, then you are completely lagged behind of Search Engine. That’s why you should give much concern to Site Title. A title has two significations, the first one is, Search Engine can find out your site easily, and the second is, you can get increased amount of visitors who will provide you good feedback. In order to optimize a site properly your visitors and good feedback are essential. The more you get visitors and good feedback, the more Search Engine will pull your site higher. That’s why you must give importance on site title. There is a specific way to find out good title. But, I will not tell the way in this class. However, I will tell this in the next class. Article Writing: The Keywords play a vital role at the time of article writing. You have to use your keyword 3 times (minimum or maximum) for per 100 words. This technique can give your post as well as site a better result. As for example you can check this article (Search Engine Optimization [Chapter-7], Keyword Research-01), and count how often I have put the word “Keyword”. After 1-2 days you can see my post on the first page and on the 1st to 3rd position in Google, if you search with “Keyword” in Bengali Language. As a result you should use related keywords on every article. But, you must have to use your selected keyword for three times in per 100 words. Meta Tag: I will discuss about Meta Tag in next. Those who do not know about Meta tag, don’t worry I will discuss further. Just keep in mind that you should use your Keywords into your Meta Tag. I also discuss about where and how keyword should use. That’s enough places to use the keywords. There are also some other space to put keyword. But not today, I think it will be hard for you to understand that. However, these four sectors are crucial. If you are able to put your keyword in these four places, then your blog will be super hit. Keyword Research is the main factor to success in Search Engine Optimization. 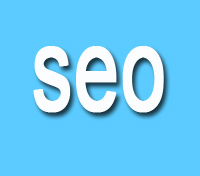 SEO is considered as the spirit of Online and Keyword Research is considered as the spirit of SEO. I have discussed details about the Keyword Research in the previous class. In this class I will show you how to research a keyword successfully. In order to learn more about Keyword Research at first you should know some more. The topic that I want to include into my website is called Niche. Selecting a better niche is now a great matter of worry. We should select niche of those topics that’s searched more recently. In a word, select those topics that the visitors demand more. You need to research on basis of visitors demand. If you have still confusion about the visitors demand, then guise those things that you want to know. Hope, you have a better understanding about the Niche. Now, I am going to discuss about how to perform Keyword Research task. Visit this link: https://adwords.google.com/o/KeywordTool.